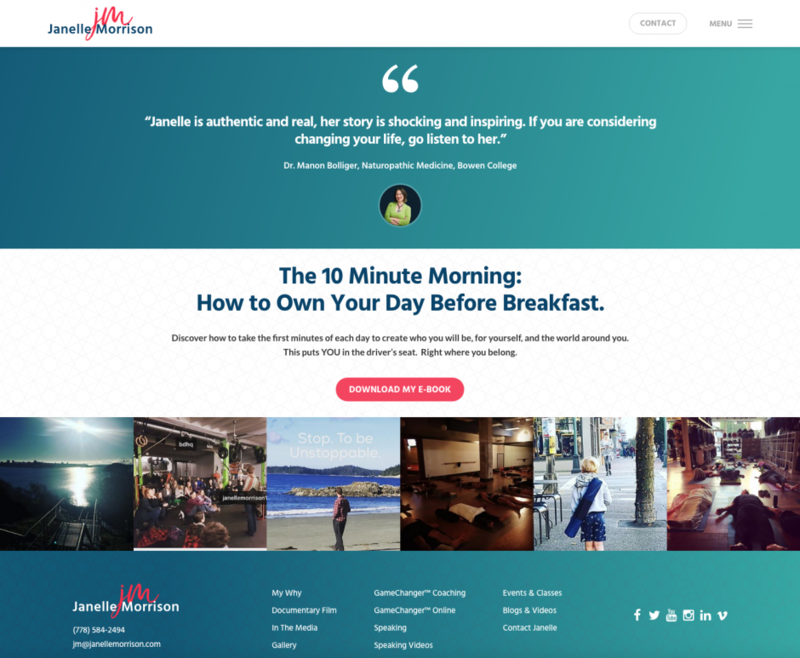 Our partners over at Echo Echo Digital executed Janelle’s new branding. 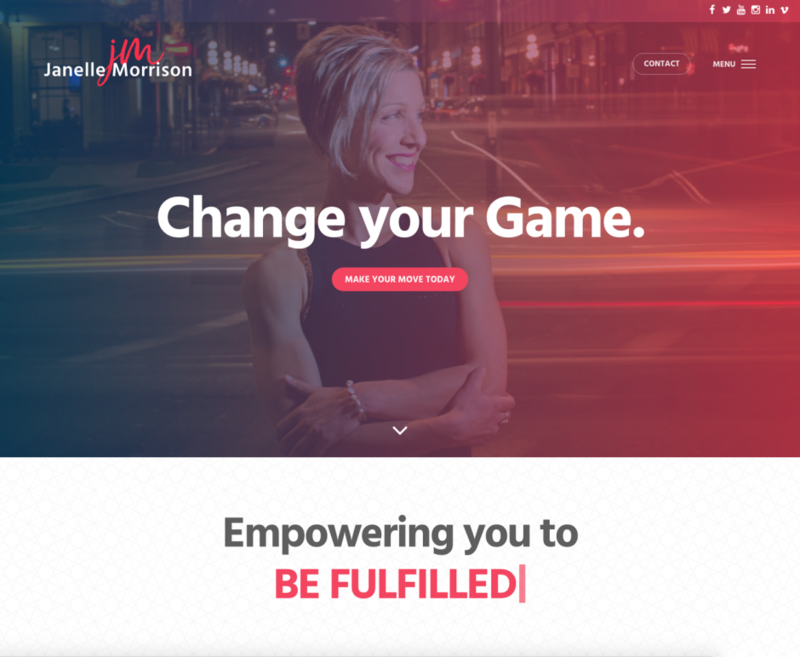 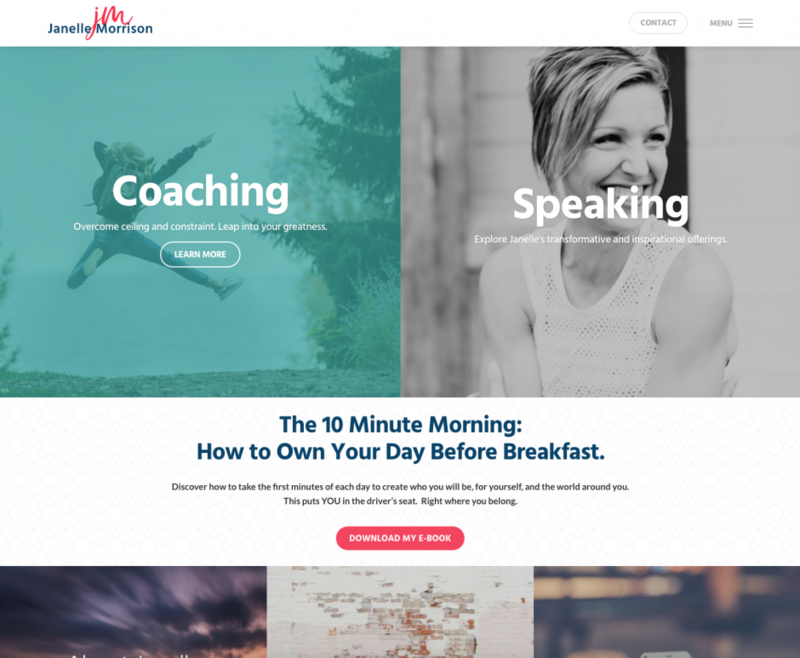 Project Summary: We designed Janelle a gorgeous new website that allows her tell her unique story and beautifully showcase her services with interactive elements and elegant design. 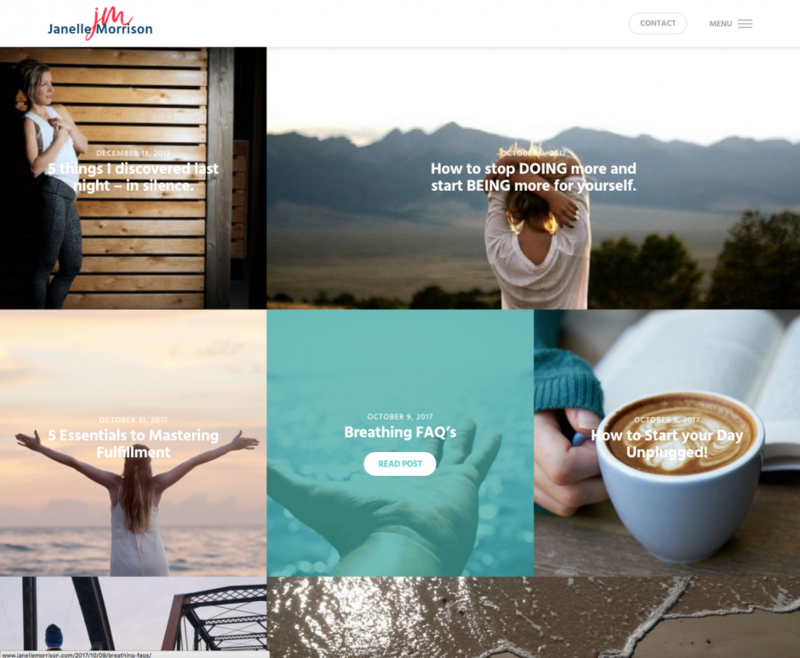 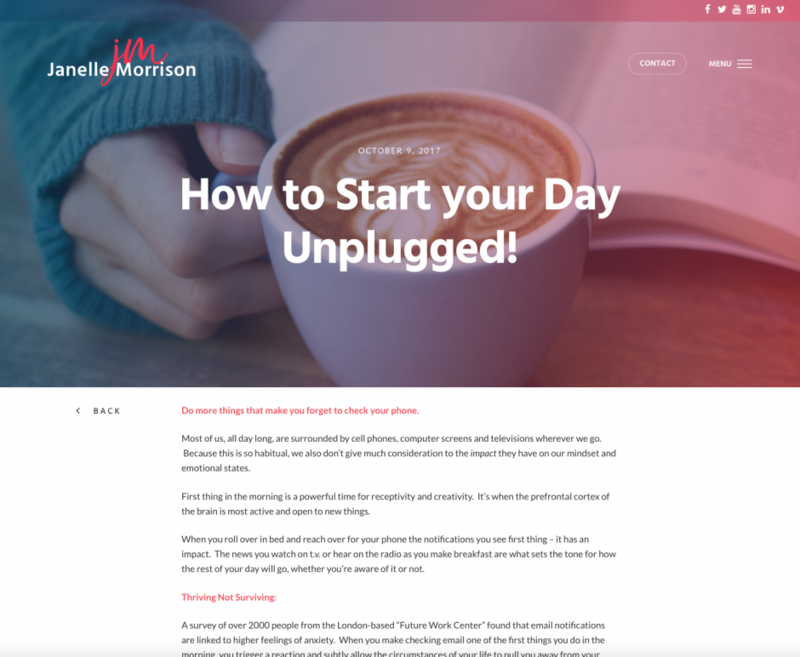 The website is built on WordPress, allowing Janelle to easily keep the site up-to-date with relevant information, upcoming events and post new blogs and videos.